Ready-to-use, synthetic resin render for exterior use. Water vapour permeable and very resistant to water. Use with Baumit SpeedTop additive. Ready-to-use, pasty, synthetic-resin thin-layer final coat with rubbed or grooved structure for interior and outdoor use. 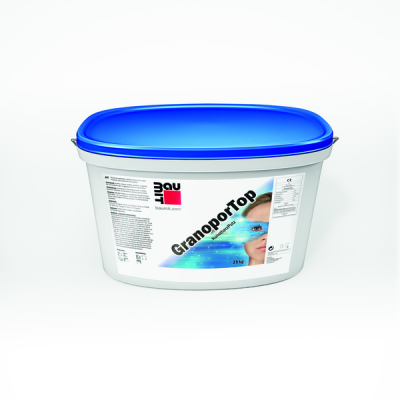 Baumit GranoporTop can be applied manually and by machine. High air humidity and low temperatures can considerably lengthen the drying time.